New Date & Location added to the schedule! 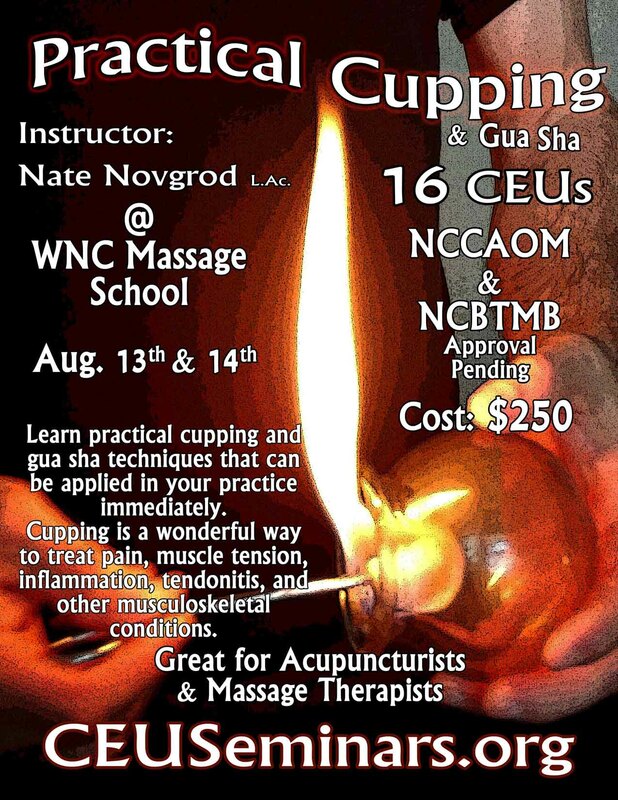 We have added an additional date and location for the Practical Cupping & Gua Sha course. 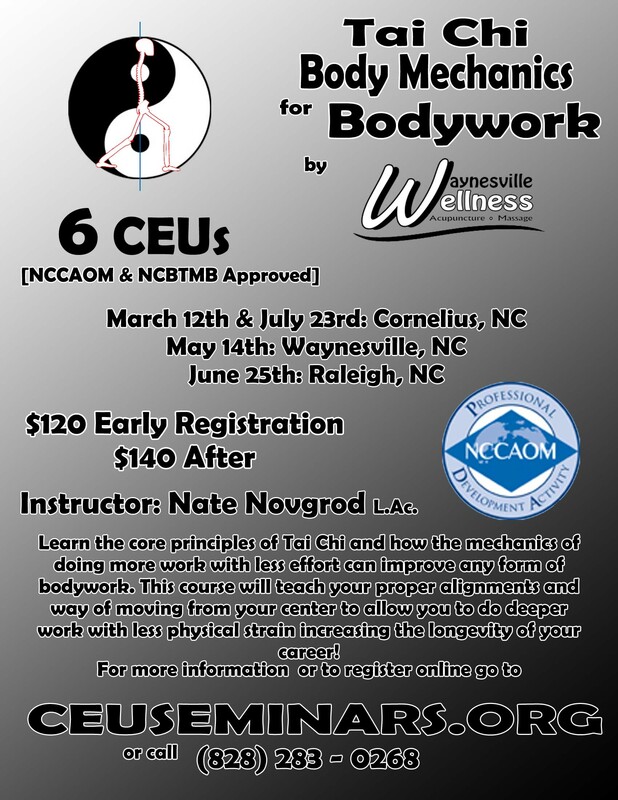 Waynesville Wellness will be teaching this great NCCAOM & NCBTMB approved course at the Atlanta University of Health Sciences on August 11th & 12th, 2018. The Atlanta University of Health Sciences is located in Duluth, GA. 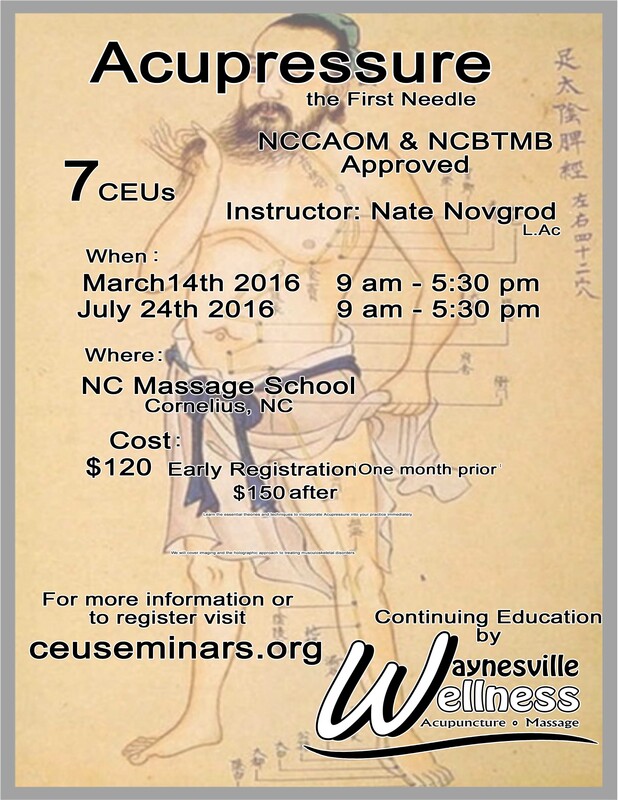 Here is the Waynesville Wellness CEU Schedule for 2016 offering NCCAOM & NCBTMB approved courses for Acupuncture and Massage Therapy professionals! Waynesville Wellness is a NCBTMB Approved CE provider!!! Tui Na 101, Tui Na 102, & Tui Na 103 CEU Courses NCCAOM Approved! Private CEU courses available; minimum of 6 registrants. If you know of a group of interested Acupuncturists/Massage Therapists and would like to schedule a private course please email Nate at nate@waynesvillewellness.com or call (828) 283 - 0268. 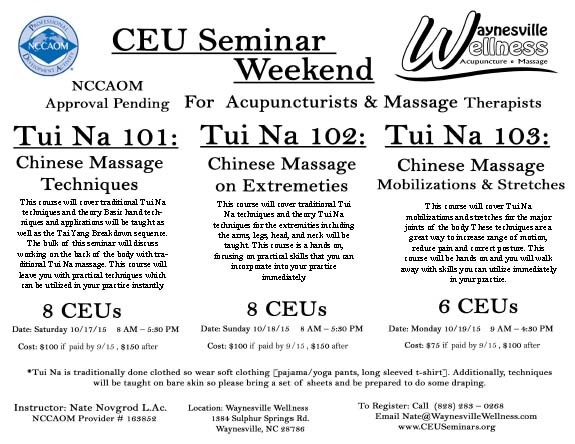 Raleigh, NC CEUs in June!